underground house music, Hip-hop, EDM, TOP 40. Pool attire: No basketball shorts, team jerseys, baseball caps, robes or tank tops will be permitted in the venue. Villas, VIP cabanas, day beds, lily pads, tables. Who says pool parties are exclusive to daytime hours? Some of the wildest Las Vegas parties happen in the nighttime. The weather is cooler and more comfortable, the ambiance is laidback, and when patrons start throwing back a few drinks, everyone becomes a little friendlier. 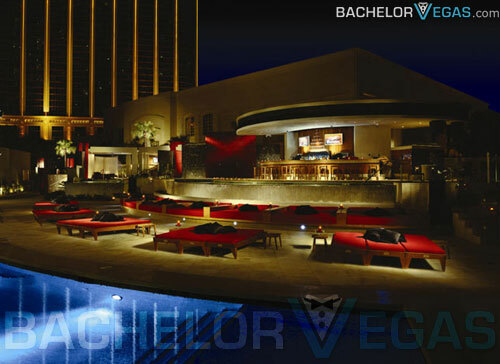 Pool parties have been a staple in Las Vegas for years, but nighttime swim sessions are a fairly new concept. 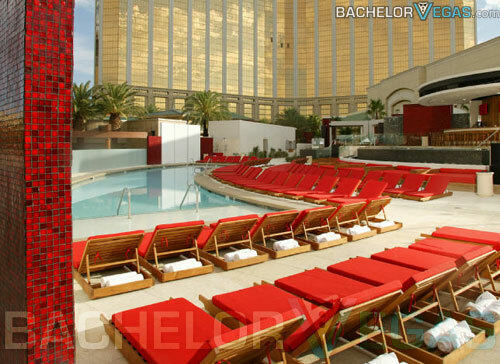 Here’s a look at some of Sin City’s hottest pool party destinations. 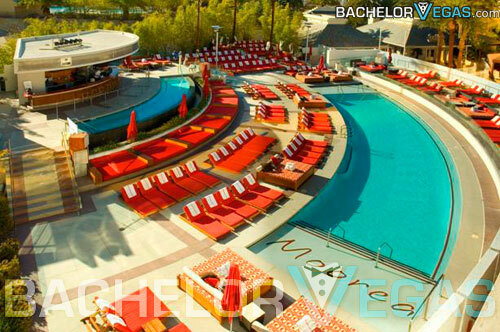 For its third consecutive year, Encore Beach Club at Night has returned to kick off an exciting new pool season. The venue combines daytime pool party elements with the cool atmosphere of a nightclub. For the 2016 season, EBC will be open on both Thursday and Friday nights, allowing you to get a head start on your weekend. Grab your swimwear and head to Encore Beach Club at Night for the pool scene and events. XS Sunday NightSwim in Las Vegas is one of the area’s top pool party destinations. Set to open on May 1, the venue is anticipated to host some of the hottest DJs in the world, including the likes of Skrillex, Avicii, Zedd, David Guetta, and Robin Schulz. If you’re looking for a place to party on Sunday, live it up under the stars at XS Sunday NightSwim. Marquee Nightclub at The Cosmopolitan is one of the most popular clubs in Vegas, attracting thousands of locals and tourists week after week. The club consists of three primary rooms: the Main Room, the Library, and the Boombox. For guests who prefer to take their partying outside, Marquee opens its doors to the pool come nightfall. While you can’t swim, you can hangout by the pool and enjoy the balmy night air. On Tuesdays, the pool scene comes alive at Drai’s Beach Club NightSplash. The 70,000+ square foot venue features both indoor and outdoor features, including a spacious rooftop. Guests can find more than 150 VIP tables, 10 35-foot tall palm trees, eight pools, two VIP balconies, 4 35-foot dance poles, four bars, and a gourmet kitchen. The venue also boasts 7,000 square feet of state-of-the-art digital LED screens. 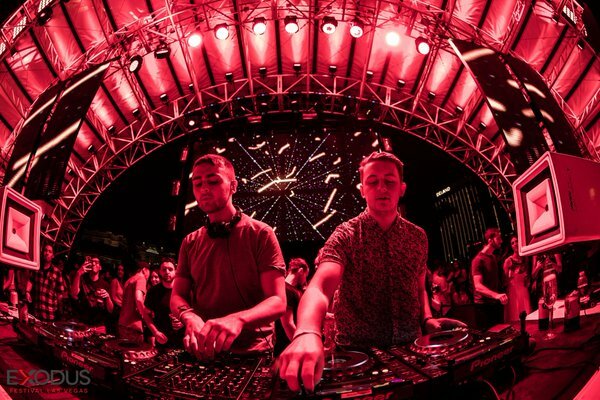 For the 2016 summer season, Drai’s is set to open Nightsplash, an exclusive nighttime pool party. Drai’s Nightsplash can be found atop The Cromwell Hotel, and will host a wide range of celebrities and performers, including performer Chris Brown. The venue features two main pools, five plunge pools, and one European-style mezzanine pool. Guests can also reserve the 10 bungalows and 15 mezzanine level cabanas. Sundown at Daylight is also home to some of Las Vegas’ hottest nighttime pool parties (weekly concert series). Whether you’re dancing by the pool or lounging in the background, you’re sure to enjoy the nightclub-style ambiance, tasty beverages, and friendly conversation. Located at Mandalay Bay, the Sundown is open every Sunday and caters to locals and visitors alike. As summer quickly approaches, more and more clubs are opening their doors for entry into their exclusive pool parties. Not only is poolside partying the perfect way to stay cool and relaxed, it’s also a satisfying step away from traditional nighttime clubbing. The different clubs are set to open at various points throughout March, April and May – just in time for the long, hot summer. What could be more fun than partying it up on a warm summer night, drink in hand, splashing around a huge pole, alongside beautiful people in skimpy swimwear, and while listening to some of the hottest DJs in the world? 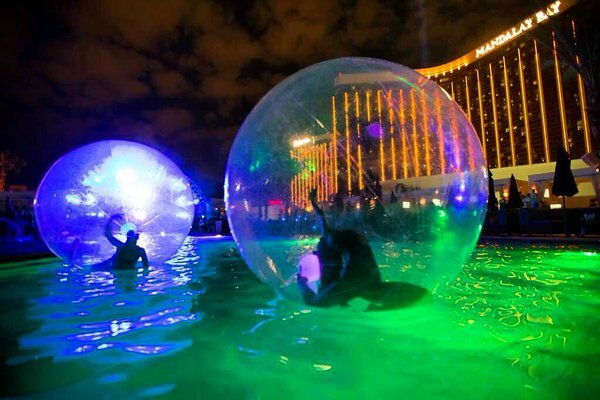 Don’t hesitate to check out the Las Vegas nighttime pool party scene.